You are here: Home / Articles / Is Self-Knowledge Based On Theory? Is Self-Knowledge Based On Theory? People generally confuse self-knowledge with knowledge of their ego-personalities. Indeed, those with any awareness at all take it for granted that they ‘know themselves’. But the real psychic facts are for the most part hidden, since the ego knows only its own contents. Without some knowledge of the unconscious and its contents one cannot claim to know oneself. If, for instance, I determine the weight of each stone in a pile of pebbles and get an average weight of five ounces, this tells me very little about the real nature of the pebbles. Anyone who thought, on the basis of these findings, that he could pick up a pebble of five ounces at the first try would be in for a serious disappointment. Indeed, it might well happen that however long he searched he would not find a single pebble weighing exactly five ounces. Similarly, in the treatment of psychic suffering, Jung stressed that the scientific knowledge of humankind in general must take second place; the important thing is the particular person who requires individual understanding. The recognition that there is an unconscious side of ourselves has fundamentally altered the pursuit of self-knowledge. It is apparent now that we are twofold beings: we have a conscious side we more or less know, and an unconscious side of which we know little but which is generally no secret to others. When we lack knowledge of our other side, we can do the most terrible things without calling ourselves to account and without ever suspecting what we’re doing. Thus we may be baffled by how others react to us. The increased self-knowledge that comes about through depth psychology allows us both to remedy our mistakes and to become more understanding and tolerant of others. Self-knowledge can have a healing effect on ourselves and our environment, but this seldom happens without a prolonged period of professional analysis. Self-analysis works to the extent that we are alert to the effects of our behaviour and willing to learn from them; however, it is limited by our blind-spots—our complexes— and by the silence of others who for one reason or another indulge us. To really get a handle on ourselves we need an honest, objective mirror, which our intimates rarely are. The unconscious, in its many manifestations through dreams, visions, fantasies, accidents, active imagination and synchronicity, is a rather more unsparing mirror, and analysts are trained to interpret the reflections. Again and again, patients dream of analytic work as a refreshing and purifying bath. Symbols of rebirth frequently appear in their dreams. The knowledge of what is going on in their unconscious gives them renewed vitality. 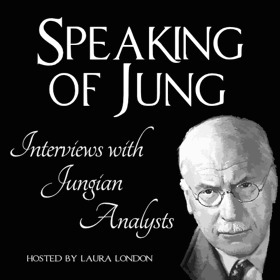 There are many methods and techniques espoused by therapists of different schools, but Jung’s view was that technique is not important. What matters is rather the analyst’s own self-knowledge and continuing attention to his or her own unconscious. Analysis is in fact both a craft and an art. Whatever school an analyst trains in, he or she is obliged to deal in an individual way with what comes in the door. 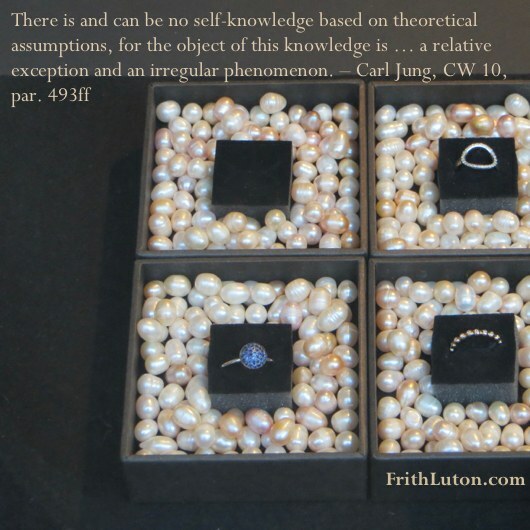 Jung said that when a unique, suffering person was in front of him, he put theory on the shelf and simply listened. Only after he had heard the conscious facts did he look for compensating messages from the unconscious. Self-knowledge can be the antidote to acute depression or a pervasive malaise of unknown origin, both particularly common in middle age. And it can be a spur to an adventurous inner life—the heroic journey, as it may be called. Understanding oneself is a matter of asking the right questions, again and again, and experimenting with answers. Do that long enough and the capital-S Self, one’s regulating centre, is activated. In terms of relationships and the vicissitudes of everyday life, this comes down to simply knowing what is right for oneself. One has a strong instinctive feeling of what should be and what could be. To depart from this leads to error, aberration and illness.